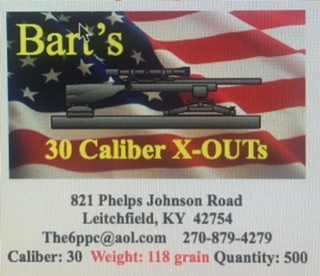 The 30 Caliber 118 grain X-OUTs are an 8 Ogive with a .065 metplat, made on a inch jacket. I am amazed at the easy of tuning and the level of accuracy that these bullets produce. Zero groups are no problem if you have a good gun and a solid scope!